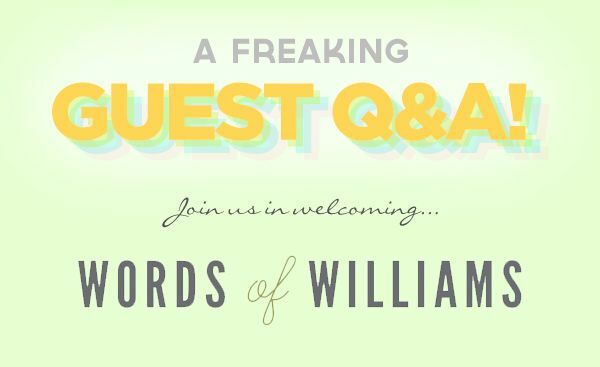 Today we bring you a brief Q&A with Eric Williams of Words of Williams. Like us, he and his wife were young 20-somethings trying to figure out the wide world of personal finance. And like us, Eric and his wife, Kelsey, started budgeting because of Dave Ramsey. And also like us, they have a young toddler-aged daughter. They’re so similar that when we first stumbled across their blog, we thought we were reading about ourselves. Anyway, we had a few questions for Eric, and he was gracious enough to answer them, so enjoy! What is Words of Williams all about? Can I say… It’s complicated? I started Words of Williams as a way to document a staycation we did in 2010. I started it on a whim and my wife Kelsey already had a fashion blog she was spending a lot of time on. Since we didn’t have a kiddo at the time, I figured it would be a fun hobby to get into. It’s evolved over time from just me (random thoughts), to Kelsey and me (lifestyle, family, finances), and more recently back to just me (personal finance). I’ve got a passion for helping others in any way I can understand their personal finances. How long has the Williams clan been budgeting? We’ve been budgeting since January 2009 when we took Financial Peace University. Before that, I figured we needed a budget, but didn’t know how to get started, Kelsey thought money grew on trees, and so we were spending everything we had every month. After getting on a budget, we wiped out $39,772.05 in 23 months! What is your least favorite budget category to save for? That’s a tough one, but I’m going to say vehicle replacement. I’m completely OK with driving a reliable used car. In fact, the car I drive was the car Kelsey’s parents bought her while in high school (1998 Grand Prix with nearly 150,000 miles). I’ve had to fix some things on it, but other than that, it works great for getting back and forth to work. I hate saving for a vehicle so much because before we were budget savvy, we took a loan from Kelsey’s dad to buy a Jeep Grand Cherokee ($15,000) and paid him back as part of our debt snowball. Even still, we avoided saving for a new/used vehicle for a long time because there just always seems to be something else we’d rather use that money for (emergency fund, retirement investing, finishing our basement, etc…). But we now save for it regularly every month. I know when the time comes, we’ll have money set aside to purchase another vehicle with cash and that will feel really good. What budget category gives you the most trouble each month? Food. I don’t mind cooking, but don’t like meal planning. And meal planning is tough with a picky eater in the house. So we resort to eating out, or making really simple meals over and over and over again. Since we know it’s our trouble category, we take out cash for food. I would say food is our splurge category for sure. We could tighten it if we had to, but right now, we’re fine with where it’s at. You’re sharing an elevator ride with a budgeting newbie. What’s your one piece of advice? Forget everything negative you’ve heard about it. It works, if you work it. You just have to give it time and know that you won’t get it right the first time. Give it an honest effort for three months before giving up. What financial goal are you currently working toward? We’re currently saving up to finish our basement. We live in Iowa in a ranch-style home, and will be doubling our living space when the basement is finished! It’s a big goal, but once it’s finished we’ll shift to paying off our mortgage. Thanks for taking the time to talk with us, Eric! We have our own set of Q&As over on their blog, so be sure to check it out! Thanks for the great interview, Eric! I love this Q&A! I can so relate to the food budget being a pain. I think that is probably a lot of folks’ biggest budget headache. Thanks Johnny and Joanna for introducing us to this great blog! Glad we could share! 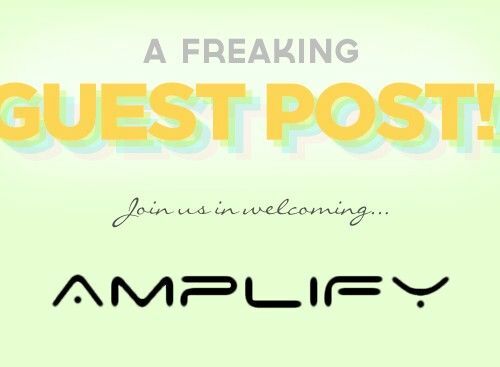 We love finding other PF bloggers who we can relate with! I’m stopping by from Words of Williams’ blog and I have been hooked! I really enjoy your writing and common-sense approach to finances. Thanks, Jennifer!! We hope you stick around :).